Michael Thomas’s professional life at the Bar led to silk before he was 40 and briefs in many prominent maritime cases. In 1983 he was appointed Attorney-General of Hong Kong where he played a part in the negotiation of the Sino-British Joint Declaration that led to a transfer of sovereignty in 1997. He did not finally hang up his wig and gown until he was 80. He is now retired to London with his wife Lydia Dunn, playing tennis twice a week, and absorbed by Renaissance art history. 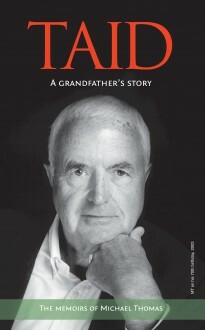 But it is not to celebrate a colourful life that Michael has written these memoirs; rather to tell his grandchildren about their Welsh family roots, his memories of an earlier century and some lessons of life.